Colin has had two successful seasons with Team BMR in the Dunlop MSA British Touring Car Championship and in 2015, his maiden year with the team, he played a huge part in putting BMR on the map with his massive contribution in assisting us in claiming our first ever Team Championship title along with his fifth independent Championship crown. 2016 saw BMR bringing Subaru to the championship as a new manufacturer outfit and Colin's commitment along with his input to the team was a huge asset in aiding us to develop our newly built Subaru Levorg. Colin has made history by bringing the first Subaru BTCC Pole Position backed up by a maiden win for the Subaru Levorg. His success continued throughout the season claiming further pole positions, race wins and podiums establishing himself in the final three for the overall Championship title at Brands Hatch back in October. He ended the season 4th overall in a battle that nearly saw the Ulsterman claiming his third BTCC title. "Colin has been an absolute pleasure to work with over the past two seasons and has brought a tremendous amount of knowledge to the team which has aided BMR in it's growth and development as a front running BTCC team. I wish Colin good luck for the forthcoming season and would like to thank him for all his efforts that he has brought to BMR"
"I have thoroughly enjoyed my time at Team BMR and will savour the success we shares together over the past two seasons; however, the time has come to part company and apply the focus to each of our own individual goals and needs. I sincerely value the journey we have shared together securing the team's Championship in 2015, winning my fifth Indy title and of course the thrilling year we have just had with the Subaru Levorg. I have been fortunate to work with some of the best in the business at BMR and it has been a valuable experience and certainly helped me grow and improve. 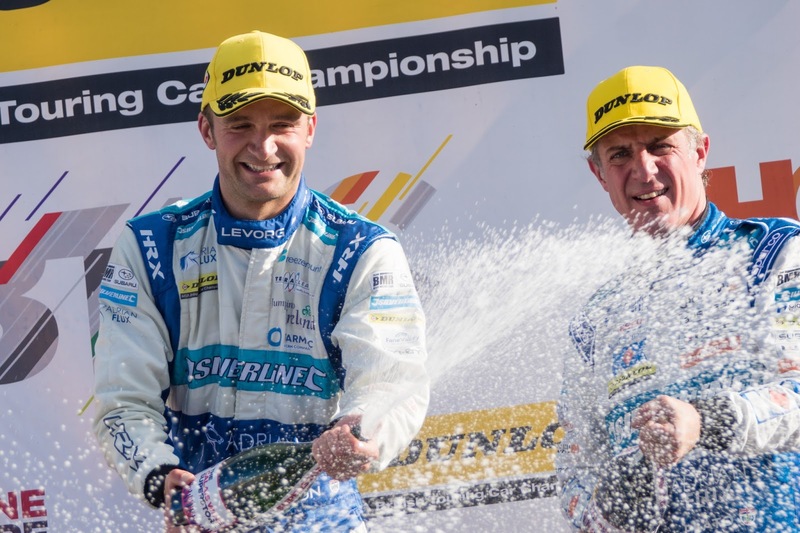 The BTCC is surely one of the toughest Championships in the world to win and to finish last season with a realistic shot at winning the title in a new car was a tremendous achievement. All of us at BMR Racing would like to thank Colin for his tremendous input to the team and we wish him continued success in his future career. Team BMR will announce their confirmed 2017 plans in the coming weeks and we look forward to seeing everyone at Autosport International over the next few days.